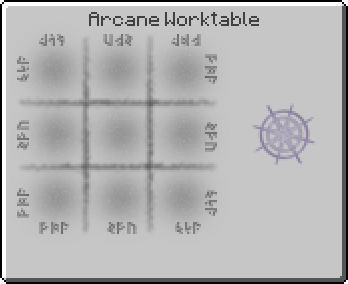 Arcane Abacus is an item added by the Witching Gadgets mod. It is a tool that allows the player to obtain precise information about the value of Primal Aspects in Aura Node and all the parameters of the Infusion Altar, including stability, current state, the amount of pedestals and so on. "As a skilled thaumaturge, close to achieving eldritch knowledge, you are an expert on chaos. ...It might also stem from your lack of mathematical knowledge. But who would bother themselves with sciences of the common man when there are enchantments that do it for you? The Arcane Abacus will take some of the mundane mathematics off your hands. Use it on a Node that contains compound aspects and it will calculate it to primal values. Use it on an Infusion Matrix to gain info on stability, positioning of stabilizers, instability of the current infusion or possible increases in essentia cost." Arcane Abacus has no known uses in crafting. This page was last modified on 19 July 2016, at 17:17.